What a great kick-off to the new year! Rolling off of a fantastic Festival of Trees, I arrived back at The Gardens at Elm Bank and was immediately impressed with what the staff have lined up for our members and visitors for winter 2019. The launch of an outstanding series of classes and programs in January and February is developed to inspire and educate. We have everything from botany and landscape design to art classes and hands-in-the-dirt workshops, plus family programs. Impressive. Spend the cold days of winter with us, dreaming, planning and preparing for the longer, warmer days of spring. Put it on your to-do list to check out our program offerings at masshort.org . In this time of writing thank you notes to friends and family, this is my opportunity to thank you our members and volunteers for your partnership, friendship, ideas, and support of Massachusetts Horticultural Society. We are so grateful for all of your contributions to the success of the Festival of Trees, the Seed to Table program, the massive library collection – the list goes on. Your year-end support of our annual appeal is especially appreciated. Thank you, each of you. Now we immediately turn our attention to the Flower Show. Preparations are well underway. To all flower show competitors, I draw your attention to the exhibitors meeting for floral designers on January 26 and the upcoming deadline for Photography Entries on January 18. Our presenters will lead an exploration of how gardens are places of creative rejuvenation, muse, and inspiration. 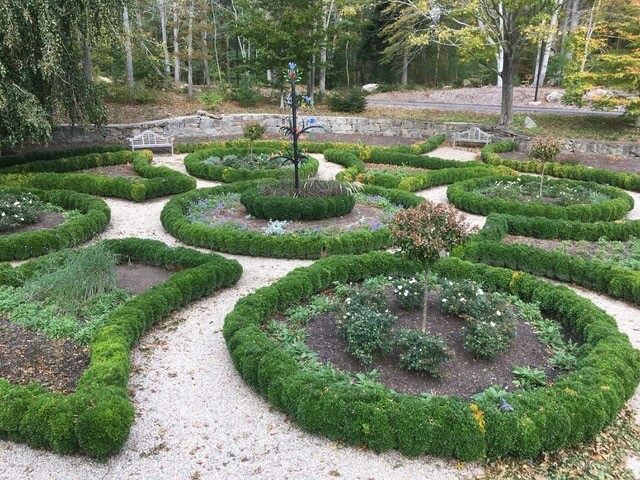 New England is rich with historical artists, poets and writers, and we are lucky to have not only their work but also the gardens that held a special place in their lives. We hope you can join us! Emily Dickinson's poetry was influenced by the four seasons as she experienced them in her garden and conservatory. 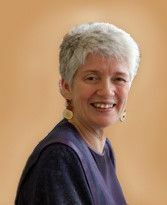 In this talk, Dickinson's poetry and excerpts from her letters will be accompanied by photographs taken by Michael Medeiros at the Emily Dickinson Museum throughout the year to illustrate just how these spaces worked their way into her writing. Located ten miles off the coasts of NH and ME, Appledore Island was the home of writer/poet Celia Thaxter. Here on a granite outcrop, she cultivated her garden. While only 15’ x 50’ in size and featuring raised beds, it was both romanticized and immortalized through the paintings of American impressionist, Childe Hassam, and Thaxter’s book An Island Garden, which he illustrated. Today, the garden has been lovingly restored by the Shoals Marine Laboratory and countless volunteers, and it attracts many visitors each summer. This presentation will share information about Celia Thaxter and the process through which her garden has been recreated and maintained. 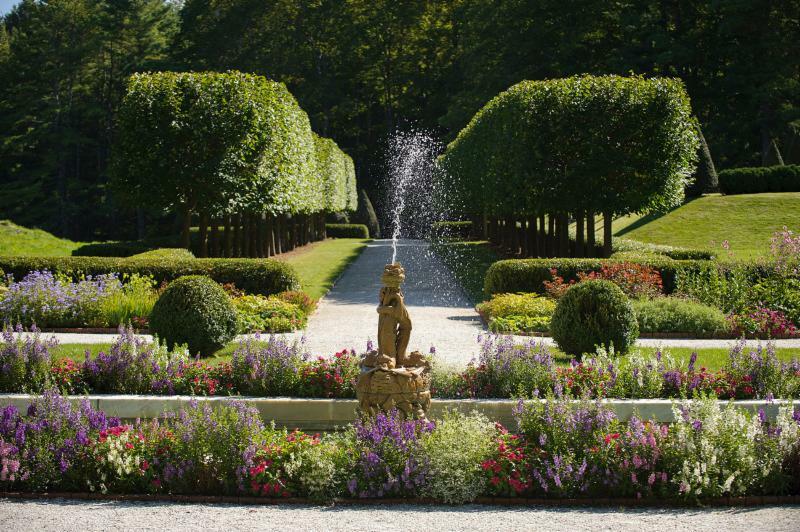 Wharton is recognized today for her contribution to American literature, but she was also a passionate landscape designer, developing the grounds of her Berkshire estate with the same elegance and lucidity she applied to her written work. 'A Genius for Gardens' will examine Wharton’s lifelong love of gardening, discuss her fascination with the European landscape design tradition, and trace the history and development of The Mount’s gardens and grounds from their inception to their recent restoration. The Floral Design Schedule for Mass Hort at the Flower Show is Here! Winter weather is approaching; this is a perfect time to bring balance to our busy lives. The Floral Design Classes fun theme is an "Island Getaway." Recreational and returning designers are welcome to participate in the Floral Design Open Classes of the Show. Tropical destinations, underwater designs, lunch on the beach, islands, wind and water will come into focus as we plan the floral exhibits. The competition gets underway on Tuesday, March 12, and another group will compete on March 15. See the Floral Design Schedule and Entry Form here . If you're interested in participating, email your completed entry form to Cynthia Chapra, Entries Chair, at ckchapra@gmail.com and attend the Exhibitors' Meeting on Saturday, January 26, at 10:30 a.m. in the Parkman Room at The Gardens at Elm Bank. At this meeting you will find out more about entering and what is needed to be successful in your first or fifteenth flower show! Competitions are open to everyone - novices, recreational and/or returning designers! One does not need to be a garden club member. To make it easier on designers, the rules allow that arrangements may be assembled at home and finished on site at the Flower Show. Make it twice as fun by working with a friend-- you'll both have your names listed at the Flower Show; you can carpool, and you can shop for and arrange your flowers together. Don't delay! Make a plan: call your design partner and share the schedule with interested family and friends today. For those with young designers in their circle, there is a Fairy Garden class called "Mini Vacation." This class is for youth entries, ages 5-17. An adult needs to sponsor and advise the child. This can be a wonderful opportunity to have some fun together on a few snowy days. Remember: Today is the best time to review the Schedule and select the Class that you wish to enter. Please contact us with any questions about the Island Getaway! We look forward to hearing from you. Are you looking for a new volunteer opportunity at the start of the new year? Please join us at one of our upcoming volunteer opportunities - learn to nurture and appreciate the natural world and enjoy the many health benefits of volunteering with us in the warmth of the greenhouse or in the quiet of the gardens. Wednesday, January 23rd, 9:30 a.m. - 12:00 p.m . Thank you for donating your time to support our mission! The Boston Flower and Garden Show is an annual tradition for so many New Englanders, our members and the general public alike! Growing up, my family faithfully made the annual pilgrimage from central Maine to Boston, often through a blizzard, to breath deep that first hint of spring that exhibitors worked tirelessly for months to create. So many of you can recount similar stories. An indoor oasis and respite from a too-long New England winter, the show has always been a harbinger of spring and a promise of the growing season to come. This year, the show explores the theme ‘The Beauty of Balance’ and opens on March 13, delivering once again on that promise. We are proud to continue our century-old tradition with an exhibit, educational display, and horticultural competitions. Mass Hort’s exhibit, titled ‘The Golden Mean’, delves into the philosophy of finding happiness at the balance point between busy schedules and beloved downtime. We present a small backyard retreat that offers the ambiance of a peaceful tropical island spa; a retreat on a summer evening or weekend afternoon-- without the expense long-distance travel. Our educational display partners with the New England Society of Botanical Artists to explore a mathematical concept, the Golden Ratio, which reveals the harmony of proportion and beauty. Gorgeous botanical illustrations will demonstrate how this concept explains the intricate beauty and symmetry of the natural growth patterns of plants. Annually, we hold a number of horticultural competitions, open to all amateur horticulturists , which range from houseplants and floral design to youth and adult botanical photography. We also sponsor an exhibit from the Ikebana International Boston Chapter on the art of Japanese flower arranging. This year the competitions hold a few new surprises, most notably, the Ikebana exhibit will expand to fill an entire ballroom! Each of the three major schools, Sogetsu, O’Hara, and Ikenobo, will feature one large floor-to-ceiling arrangement accompanied by several smaller ones. There will also be an educational space and demonstration stage, where free workshops will be presented each day. 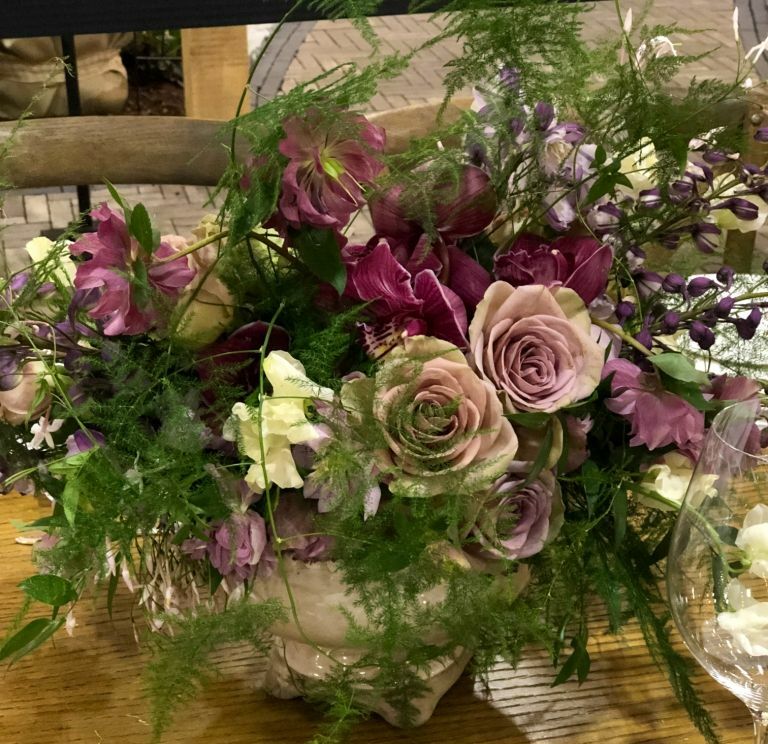 Another surprise comes from Mass Hort’s Amateur Floral Design Competition, a low-key and fun challenge for anyone who takes joy from the simple act of arranging flowers. The theme is a whimsical ‘Island Getaway’ and will be staged inside the Society’s larger exhibit. We have expanded the number of classes available for amateur floral designers. We are also including a special invitational class to showcase the creativity and style of the state’s top floral designers. Finally, the Amateur Horticulture Competition returns to the main floor and features a new Junior gardener ‘Bay Window’ challenge class, as well as many seed-starting challenges. Find more information here ! 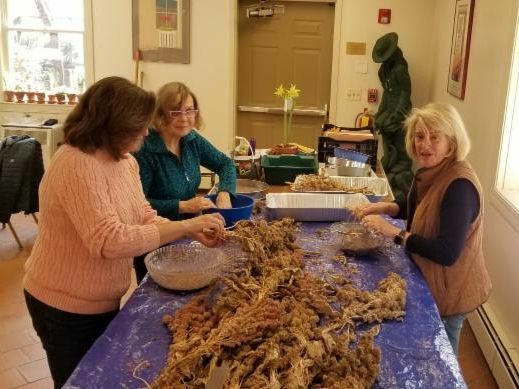 If you want to learn more and get help to prepare your plants for the Flower Show, bring yourself and your plant to Get Your Plants Ready for the Flower Show at The Gardens at Elm Bank on Thursday, February 7 from 7 - 8:30 p.m. Member tickets will be mailed out at the end of February with special purchasing options for those who need more. Please visit our website to find out how you can enter one of the competitions. There will also be many volunteer opportunities to help us behind the scenes, so stay tuned! Please check out the Mass Hort Wish List! We have a lot of classes this winter. We hope you can join to think about a greener time of year. 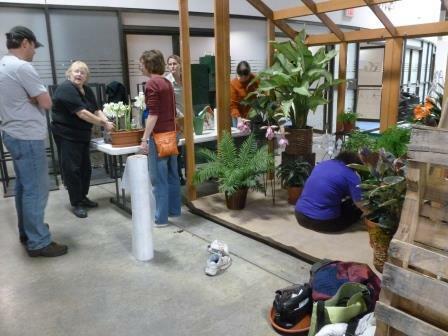 Saturday, January 26, 10 a.m. – 2 p.m.
Wednesdays, February 6 – March 13, 9:30 a.m. - 1:30 p.m.
Thursday, February 7, 7 – 8:30 p.m.
Do you have plants that you would like to enter in a horticulture show but aren’t sure how? This workshop is for you. Instructor Carrie Waterman, horticulture judge and experienced exhibitor, will discuss what is needed to enter the competitions. Learn how to fill out an entry card and groom your plant(s) to get them ready for a horticulture show. Free for members/$5 general admission, please let us know you're coming! Please note, that since publishing our Fall and Winter Calendar & Courses , we have added a February class: Dripped Wax Resist with Watercolor Painting . Those of you who attended the annual Perennial Plant Symposium held at The Gardens at Elm Bank this past August likely heard author Nancy Lawson speak about native plants as not simply encouraging to insects designated as pollinators, but as vital to the entire spectrum of wildlife that flies, slithers or hops into your garden. Lawson urges gardeners to consider the rights of all wildlife to be in your garden, to set aside judgement as to who should or should not be allowed to exist within your property’s boundaries, and to act humanely toward all. To be “humane” is to demonstrate compassion, sympathy or considerateness. The humane gardener demonstrates considerateness to wildlife by planting useful food (natives), by refraining from using leaf blowers and mowers where nesting and burrowing wildlife live out of our sight, to abstain from the application of poisons, and in many, many more ways. Lawson’s book is enormously effective in sensitizing the reader to the actions and needs of wildlife, and in consequence, to the enormity of our lack of awareness and inhumane habits. Lawson challenges gardeners to abandon preconceived notions of what a garden should be. She places the reason for this challenge squarely on our collective shoulders: “…At a time when our fellow inhabitants of the earth increasingly depend on our mercy and ingenuity to survive, our default has instead been to kill and destroy.” The fellow inhabitants in our gardens seek out certain plants for food, for shelter and to support their young. Co-evolution is the foundation of plant-animal symbiosis, and when there is one without the other, there is the making of extinction. Long associated with the Wildlife Federation as well as the Humane Society, Lawson has staked out for her concern not polar bears, whales or rhinos, but for the toads, butterflies, bees and yes, squirrels and rabbits, of our backyards. 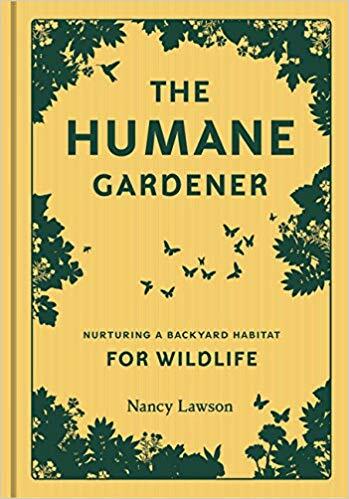 Her recent book summarizes much of what she has been penning in a column called Humane Backyard for the Humane Society publication “All Animals.” Her website, The Humane Gardener , is a comprehensive outreach initiative focused on gardening with, and for, wildlife. Her book is thoughtful and extremely useful. She advises gardeners to start small, stressing that it is not necessary to tear out every non-native plant or the entire lawn to make a difference. Quite the opposite, she provides a number of clever strategies, such as employing carefully selected natives in the job of eliminating unwanted vegetation. Tall growing ferns planted among stilt grass can eventually shade out an understory blight; large leaved heuchera can do the same for patches of English ivy and periwinkle. Lawson traverses the country to discover and showcase humane gardeners who have created harmonious habitats in the hearts of cities, on mountains, wetlands and desert valleys. Six gardeners are profiled at the end of each chapter in her book, and more are on her website. Through their stories, each gardener demonstrates what a humane approach looks like. Each reaps the rewards of immersion in a garden habitat that buzzes with native bees, nectar-sipping butterflies, insect eating dragonflies, nesting birds, baby frogs, and a host of wildlife that sustains itself with native plants. Each of these gardeners are passionate, deeply connected to their landscape, and joyful. Unlearning suburban gardening is daunting, as it means setting norms aside and creating a more natural and “messy” landscape. The design and aesthetics of the naturalizing process have been tackled by many garden writers, notably Doug Tallamy and Noel Kingsbury. Lawson doesn’t tackle questions of design, or of aesthetics. She show us how our human-centric nature has removed horticulture from its wildlife context and how a humane approach can bring gardening into better alignment with nature. "The experiences of reading, or the physical effects of being in the landscape–of being exposed to the elements and feeling the land underfoot or under-hand–have proved profoundly influential for so many environmental policy makers and researchers. Nature writing has, in the past, been cartooned variously as reactionary, ruralist or as sentimentalist. But, in many ways, and for many people, it’s been decisively life-shaping." Here at the Society, we provide ample opportunities to connect with nature and associated literature and art. The Society’s upcoming program Artists of New England and Their Gardens on January 24, 2019 will illustrate artists’ connection with nature. The art of poetry touches people in many ways, and poetry dealing with our natural world can be especially uplifting. Under the trees—under the trees! Doesn’t that evoke a sense of place? And inspire you to enjoy the serenity of the outdoors? We previously reported that the Library had begun to rehouse its glass plate negative collection of the works of Edwin Hale Lincoln, an important late 19 th and early 20 th century landscape and horticultural photographer. The 100-year-old housing Lincoln used for his glass plates has begun to deteriorate and expose them to potential harm. 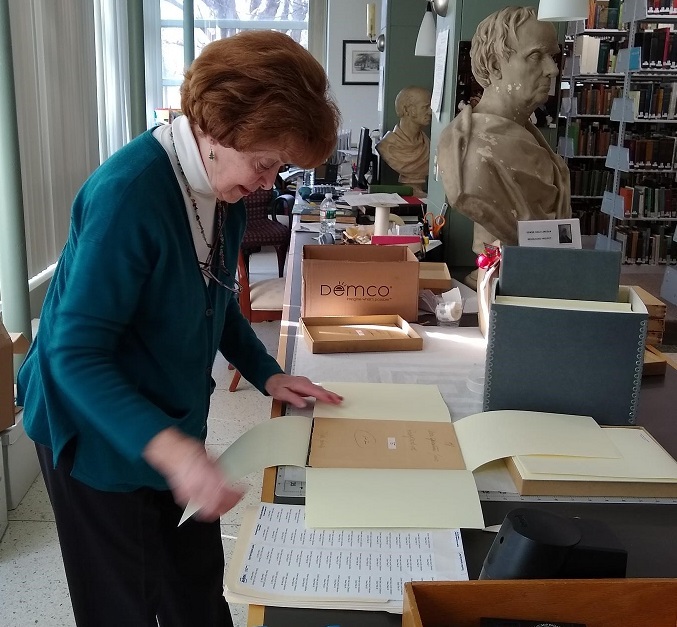 We are happy to report that new archival boxes, folders, dividers and labels have arrived and Library volunteer Ruth Ciofli is carefully processing the rehousing of the glass plates. Preservation of these plates is a two-step process. First, digitizing the negatives for online viewing protects the plates from excessive handling while allowing the public to enjoy the images. Second, encasing the plates in archival housing preserves the original glass plate negatives for future generations. You can enjoy the images online at Digital Commonwealth . We plan to continue our efforts in preserving our important glass plate negatives documenting horticultural history, including some newly discovered materials not yet inventoried. These preservation efforts are made possible by the generosity of Colleen and Richard Fain and Barbara Scolnick. In the Windows – Books inspired by nature. Since its inception in 1829, the Library relied on the generosity of its members to build its Collections. We continue to rely on the generosity of our donors and this month we thank Caroline Whitney, Heidi Kost-Gross and Jennifer Wilton for their generous in-kind donations. We receive books from authors, individuals and from donors on the Society’s Amazon Wish List. Consider donating a book or two from the Society’s Amazon Wish List . In the past, the Library published its recent acquisitions in Transactions . This year, we are happy to report that the Library added 284 books to its Collections as well as periodicals, pamphlets and ephemera. Here is the list of the 2018 ‘new to us’ books. The Library is open on Thursdays from 9 a.m. to 1 p.m., at other times by chance or appointment. Before you venture over, we suggest you email mobrien@masshort.org or call 617-933-4912 on days the Library is not scheduled to be open. A benefit of Society membership allows members to borrow most of our recent books. Image: Library volunteer Ruth Ciofli is placing the glass plate negatives in archival folders that are then placed in sturdy metal edged boxes. Each plate is separated by heavy duty folder stock that adds support and protection from adjacent negatives. Handles on the heavy boxes provide further protection by facilitating removal from shelving. Thursday, February 21, 2019 9 a.m. - 4 p.m.
We hope our members can join us for Mass Hort's Fifth Annual School Garden Conference on Thursday, February 21. Our conference includes workshops to share the best practices to ge t kids excited about science , gardening and the environment with school gardens! We'll have workshops on practical gardening skills, curriculum connections, culinary programs, science literacy, and partnerships that can maximize the impact of your garden! Nine years later, Backyard Growers has grown from a handful of families gardening in their backyards to over 150 low- to moderate-income Gloucester households growing their own food in backyard gardens; community gardens that provide fresh produce for homeless shelters, a food pantry, a health center, and a senior center; and a district-wide school garden program serving all eight Gloucester schools. 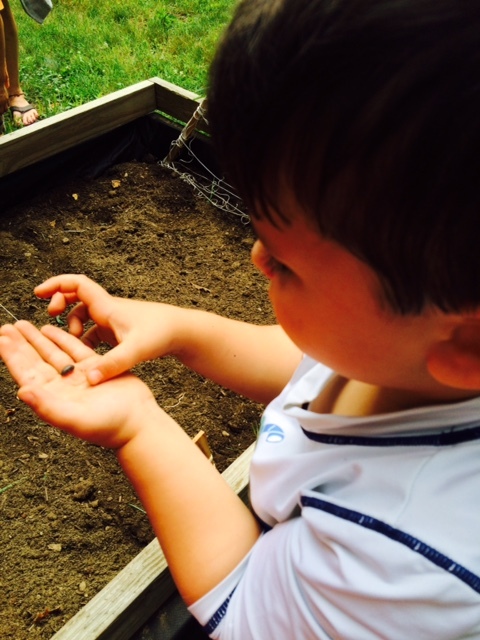 Backyard Growers' signature school garden program has been replicated in numerous Massachusetts school districts. Lara will inspire conference attendees as she shares the highlights, challenges, and successes of this collaborative school garden program. Join us to learn successful school garden methods and to be inspired by the wonderful effects they have on communities. For a gardener, the wonderful thing about January in New England is that all things are possible. Whether the ground is bare or under a blanket of snow, you need only look outdoors – or, better yet, take a walk – and imagine what might be in 2019. That’s what we’re doing this week. 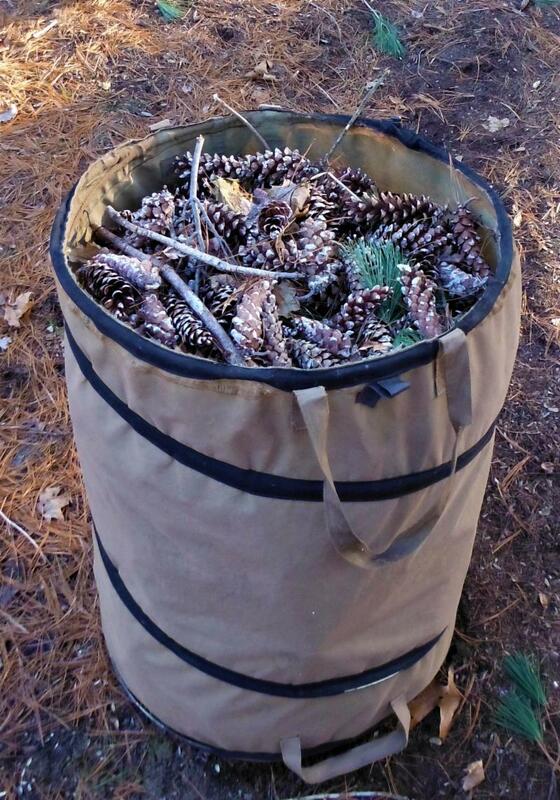 Courtesy of our neighbors’ trees, three November and December wind storms filled our property with thousands of plump pine cones – themselves a product of this year’s wet summer and fall. We carted off barrels and bags of them lest they either sprout into pine forests or attract unwanted squirrels. Because the cones buried themselves in nooks and crannies, extracting them gave us the opportunity to mentally revisit our 2018 garden and think about what can be done this year. For example, I pulled a clutch of pine cones from a bed of daisies. Last year’s stalks were cut down in November but the 2019 greens are already in place, over-wintering at the base of the plants; and forming a blueprint of what the bed will look like next year. Just two years ago this bed consisted of eight, gallon-sized pots on three-foot centers. Now, they’ve grown into an unbroken mass. Should the daisies be encouraged to spread further? Based on their current ‘footprint’, it’s likely we’ll be offering our friends potted-up daisies next year. Another example: our miniature clumping birch looked spectacular last year. Now shorn of its leaves, however, it’s easy to see the crossing branches that will spell trouble down the road. With the ground frozen, it’s easy to get in to cut the problem branches. If we waited until April, we’d be up to our shins in mud. Or this: last year we planted a marvelous variegated eupatorium in one of our beds. The foliage was so dramatic we elected not to trim it back in June. Big mistake; the perennial grew to more than six feet in height, dwarfing everything around it, including a young Cersis canadensis ‘Burgundy Hearts’. In the cold light of January, I tagged the eight-inch stubble of the eupatorium with the stern command: ‘trim me in June’. Betty has wanted a water feature in the garden ever since we built our house. The original site was planned for a space behind our home but it never felt right and so the project went into abeyance. This fall we added several hundred bulbs to one of the beds in the front of property. Now, with the leaves off the trees and shrubs, and the outline of the newly planted bulbs apparent, it’s obvious where a small pond ought to be. That will be a spring project. The garden is full of tales to tell. When everything is green and in bloom, it’s easy to yield to temptation and say, ‘Leave it alone; it’s beautiful just like it is’. In the brown (or snow) of winter, logic rears its glorious head. The result will be a new, re-imagined garden. Pray for snow! Of course, you have added leaves around new plantings to protect them from sub-freezing temperatures and frost heaves, but now it’s time to look for more help from Mother Nature. Snow is a natural insulator and a very efficient one—ten inches of snow provide the same insulation as six inches of fiberglass. Snow keeps roots happily buried, not subject to freeze and thaw cycles. Skip the salt. Once the snow arrives, avoid using salt on sidewalks and driveways. Sand or kitty litter will provide traction and even assist in melting as it warms on sunny days. Best of all, there will be no damage to your plants now or when the ground thaws in the spring. The sand or litter will disappear into the garden soil without damaging the roots or poisoning the soil. Time to get serious with the seed catalogs. Make a list of the species you want to grow from seed and then look over the available varieties. Careful reading will tell you which offer the greatest yield, the best flavor, the most disease resistance, and then you can decide which ones are the best for your garden. Be kind to your houseplants. Winter may be cold and dry for outdoor plants, but our indoor plants suffer from hot and dry. With the thermostat set at 68 or 72 degrees, you are drying out the air as you warm it. Place plants on a tray covered with pebbles where you regularly add water. As the water evaporates, your plant breathes easier. Plants too big to be gathered together? Add pebbles and water into large saucers under each individual. Additional humidity in the house is also a benefit to you. 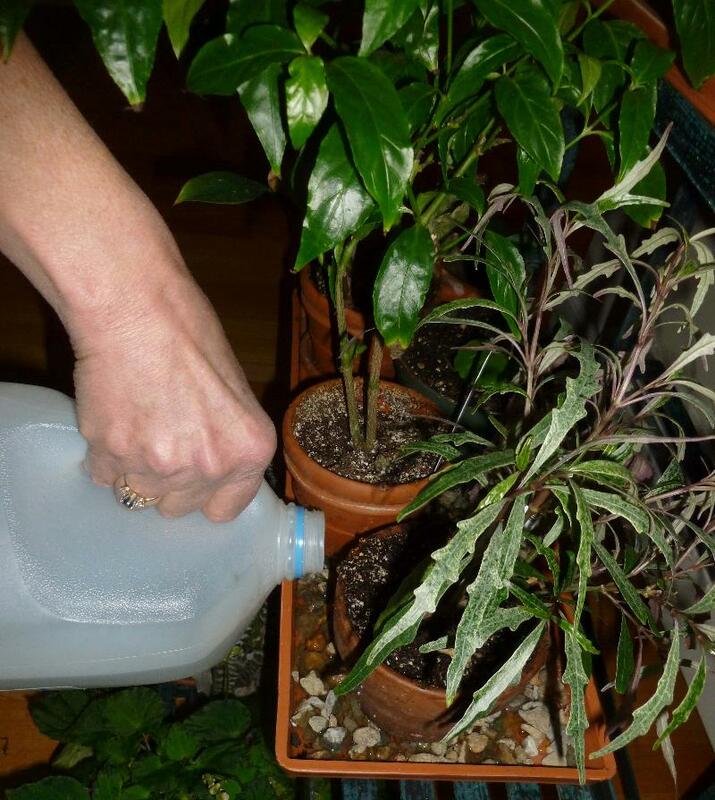 ﻿Plants also need regular watering, but less than in other seasons. Unless you are using grow lights, your plants will respond to the reduced light by slowing down their growth, which also eliminates the need for fertilizing. Poinsettias usually drop their leaves after they finish blooming. Replace them with new houseplants. Succulents are hardy and beautiful plants that don’t mind dry air or a little neglect if you head off for a winter vacation. Be kind to the birds. Not only do birds enliven your garden, they are your friends. Birds eat caterpillars all spring and summer. So, during the coldest months when much of their food has disappeared or is buried under snow, put out seed and suet feeders. They’ll entertain you and pay back your kindness come spring.